Tired of searching for turkey day side dishes? Look no further because a few of Food Network's biggest stars shared their delicious Thanksgiving recipes that you can make in your kitchen this year! You don't need to be a celebrity chef to prepare a delicious Thanksgiving spread. But if you want to serve up something special like the stars on Food Network, check out their top turkey day recipes below. 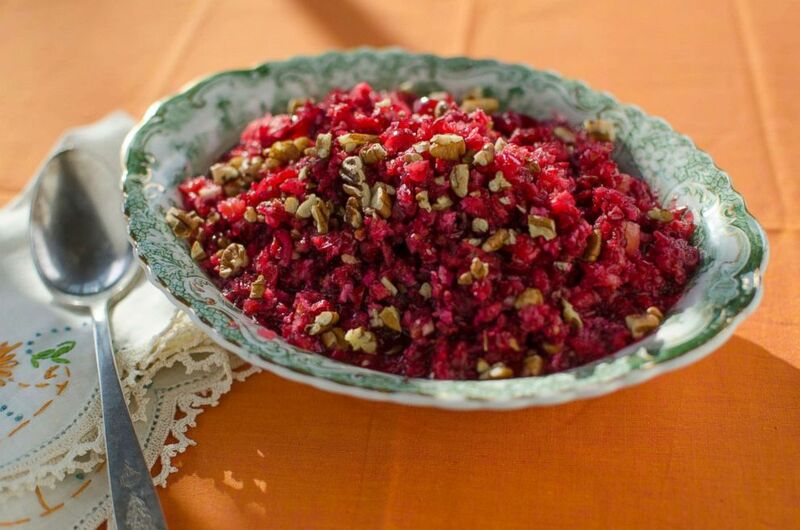 Trisha Yearwood's cranberry orange relish. 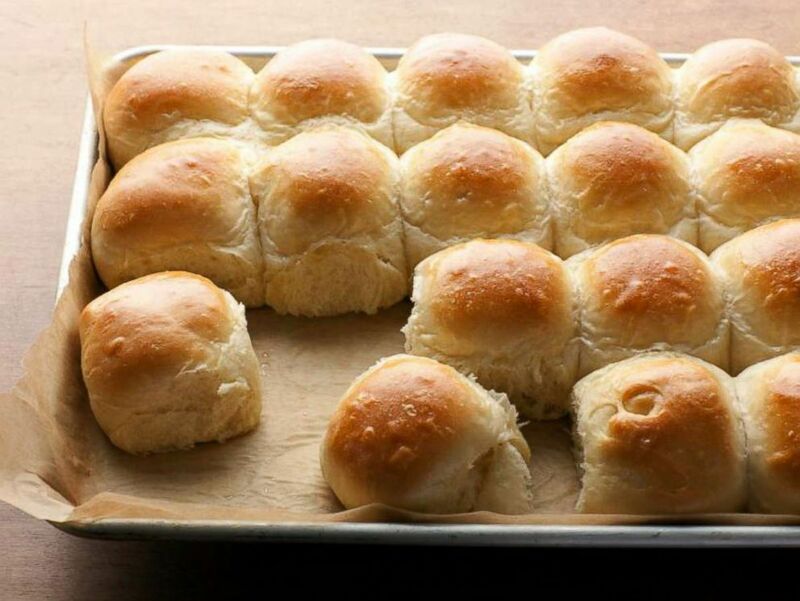 Parker House rolls from Bobby Flay. 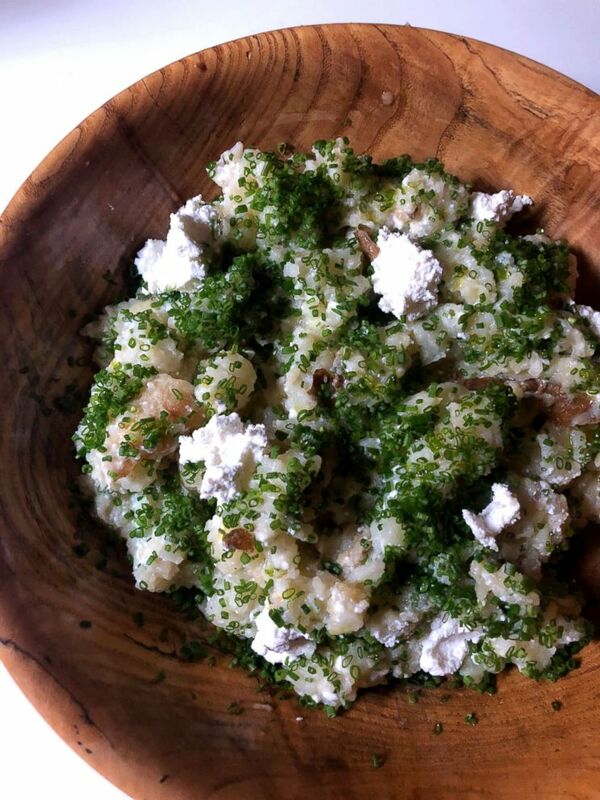 Baked and smashed goat cheese potatoes from Alex Guarnaschelli. 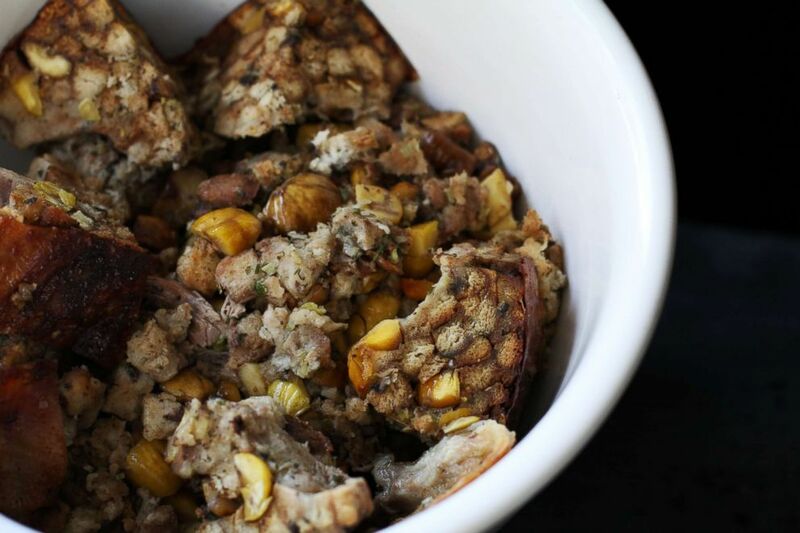 Chestnut stuffing from Andrew Zimmern. Stuffing is a staple on any Thanksgiving table, and Zimmern's take on the traditional dish is a savory success. Maybe plan to make a double batch so you have enough leftovers to go around! Twice-baked sweet potatoes from Adam Richman. What's better than sweet potatoes that have been roasted to perfection? 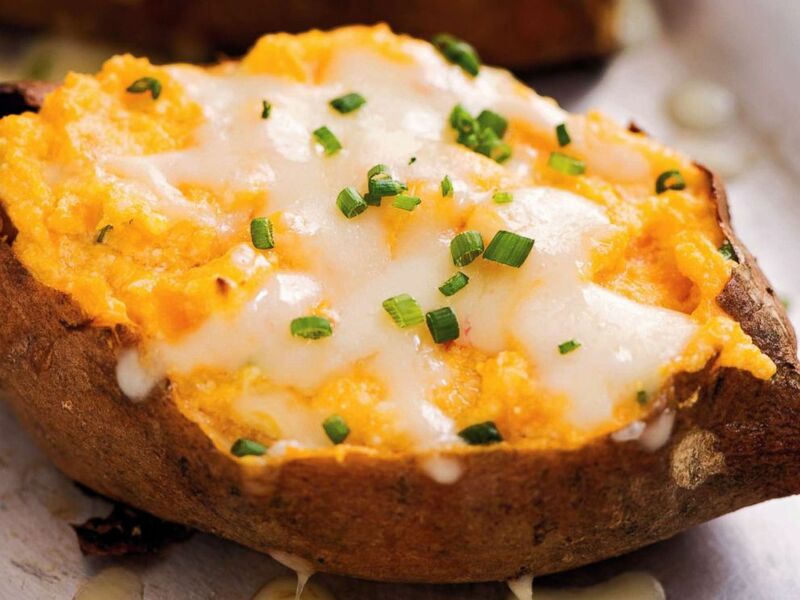 Twice-baked sweet potatoes with a cheesy and creamy ricotta and bourbon filling. If you're not already drooling you will be when these come out of the oven this Thanksgiving! 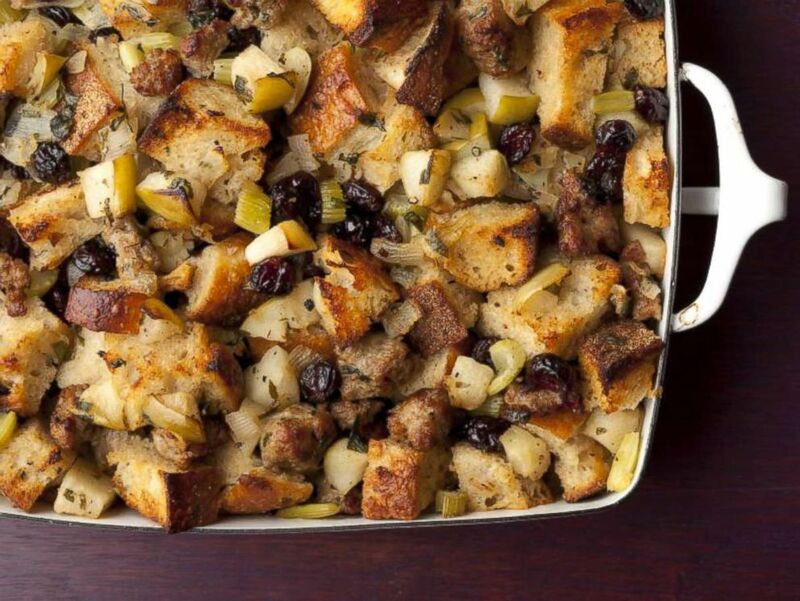 Sausage and Herb Stuffing from the Barefoot Contessa, Ina Garten. 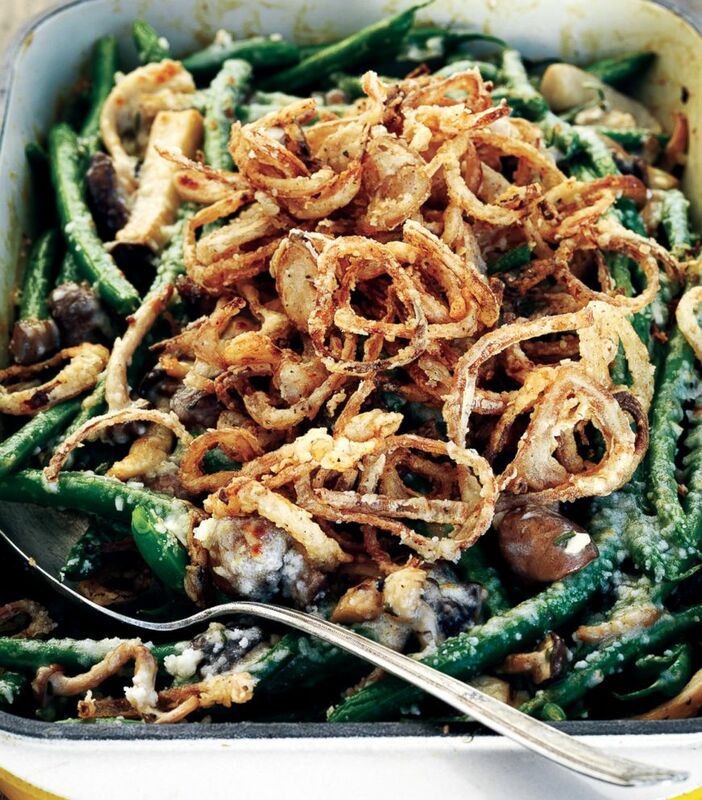 Green bean casserole with homemade mushroom gravy and fried shallots from Guy Fieri. 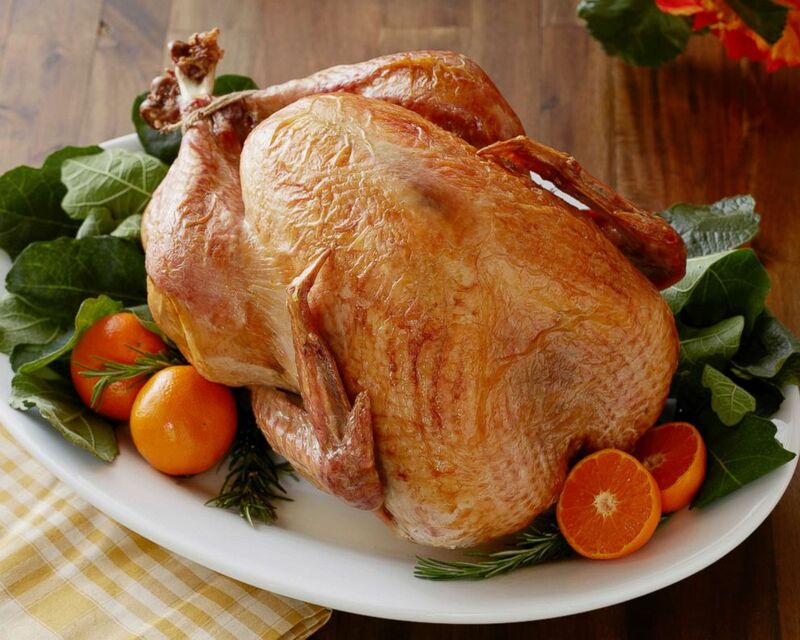 Trisha Yearwood's no baste Thanksgiving turkey.